VATICAN CITY (CNS) — To know and follow Jesus, a Christian must read the Bible and learn to pray with it, allowing the Holy Spirit to help one understand it and put it into practice, Pope Francis said. “My sheep hear my voice; I know them, and they follow me,” Jesus says in the Gospel of John. Christians today learn to know and hear Jesus’ voice by reading the Bible, the pope said May 9 during his early morning Mass. The Daughters of Charity, who work in the Domus Sanctae Marthae where he lives, joined Pope Francis for the Mass on the feast day of St. Louise de Marillac, who co-founded their order along with St. Vincent de Paul. 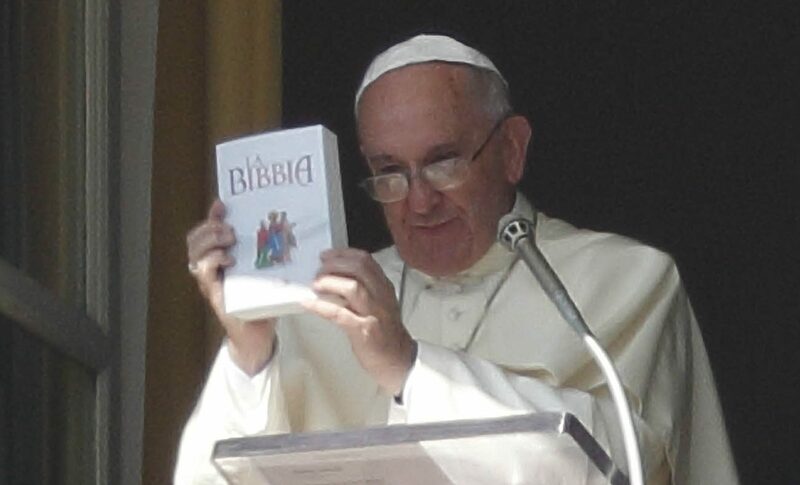 As the weekday Mass readings continued with selections from the Acts of the Apostles, Pope Francis again referred to the biblical accounts of tensions in the early Christian community between those who thought they should be preaching only to fellow Jews and those who were moved to open the community to believers from among the Greeks and pagans.